McGuire’s designer, Marianne McDonald, is an experienced denim person, having formerly worked for Joe’s and GAP. 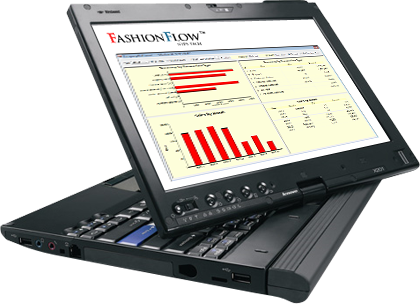 FashionFlow's leading edge technology provides everything our old legacy and other systems we looked at couldn't – flexibility, ease of use, and, most importantly, completes visibility into our operations so that we can make better informed business decisions. The FashionFlow team is excellent to work with. They are very good, very accommodating, and get the job done. A change or correction is either completed on the spot or by the next meeting. The software is very intuitive, fast, and relatively easy. One of things that sets FashionFlow apart from the competition is its user community. I'm constantly receiving tips and tricks from the FashionFlow team and other FashionFlow users that helps me and my organization get ahead. the apparel and footwear industries.